As a person who’s always on the go, it’s always hard for me to have a steady routine. I know, it’s confusing, but what I really mean is that whenever I travel, it’s always difficult for to me to maintain a healthy lifestyle, to keep working out as often as I do in Manila, to do basic things like get a hair trim and other basic hygienic stuff that you need to do regularly. Ever since I started blogging, I would always mention that looking good is a huge part when it comes to boosting your self-esteem. When you look and feel good, you’ll be more confident and in control of your life. However, I do understand that it’s hard for most people because we’re always busy. One of the things I love doing is trying out new products (I mean, who doesn’t right), but it’s important that the products are easy to use and bring since I travel a lot. And speaking of new products, I’m sharing with you guys my new love: Gillette Venus Spa. I’ve heard great reviews about it online that’s why I’m excited that it’s finally available here in the Philippines! When people hear the word Gillette, they automatically think it’s for men, but hey— girls need some shaving too! Growing up, I’ve tried different approaches on how I can remove hair on my underarms, legs, etc, but in all the times that I’ve tried waxing, creams, shaving— this has got to be one of the best products I’ve ever tried. 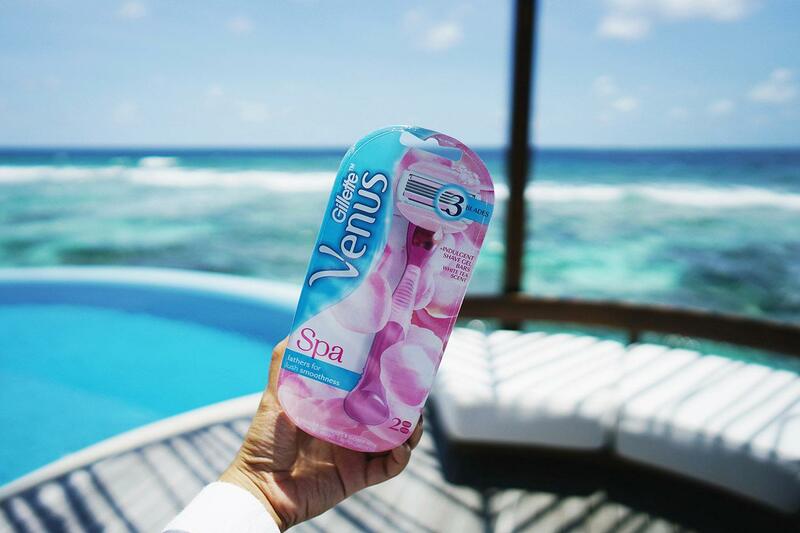 Gillette Venus Spa is a beauty essential for anyone who needs some preparation for special occasions, or a trip to the beach, and even just for your daily or weekly grooming needs. I brought it with me during my trip to Maldives because I came straight from an event and didn’t have time to go home and freshen up. I took a shower after working out and decided to shave my legs before meeting up with the girls for our island hopping escapade. Unlike other razors, Gillette Venus Spa comes in a cute and functional packaging and has flexible moisture bars that provide light lathering so you always get instantly smooth skin after every shave. Yes, no soap or shaving cream needed here. Aside from the moisture bars (which I think is the best thing about this product), it also has a white tea scent that makes the whole experience feel like a pamper session. Unlike creams that can give our skin a little sting when we apply it, or waxing where we have to book an appointment and scream a little when our hair gets removed, this one is gentle to the skin, giving it less irritation and fewer nicks and cuts. No pain and no harsh chemicals on the skin! Just make sure to use it when you’re taking a shower or as long as your skin is still wet from showering for the moisture bars to have its full effect. I also had no problem using the razor because it’s super flexible and adjusts to your curves. Now, I’ll always be ready to flaunt my smooth legs wherever, whenever. Gillette Venus Spa is available in leading supermarkets like Watsons, Rustan’s, Shopwise and Mercury Drug branches nationwide and also in Lazada. Join our Venus squad and have #NoMoreFOMO! I need this in my life. I will surely check this as soon as possible. BTW, I would like to greet you a Happy Birthday in advance before all of your social media account will be bombarded with lots of messages on your special day. Continue to be an inspiration to lots of people. ? Awww my dream destination!! ?? I so love the way you blog huhu definitely my favorite blogger! I love watching your vlogs too! ❤️❤️ Hope you fly with cathay pacific soon so I can see you ☺️ Belated happy birthday, Laureen! God bless! Need this! Anyway, belated happy birthday laureen! You inspire me in a lot of aspects, not just in fashion or blogging, so please continue doing what you are doing. You deserve everything good in life. I love you!! Also, I made a birthday blog post for you hope you check it out here: https://sheinebuhay.wordpress.com/2017/10/09/happy-birthday-laureen-uy/ I love you tons!!!! 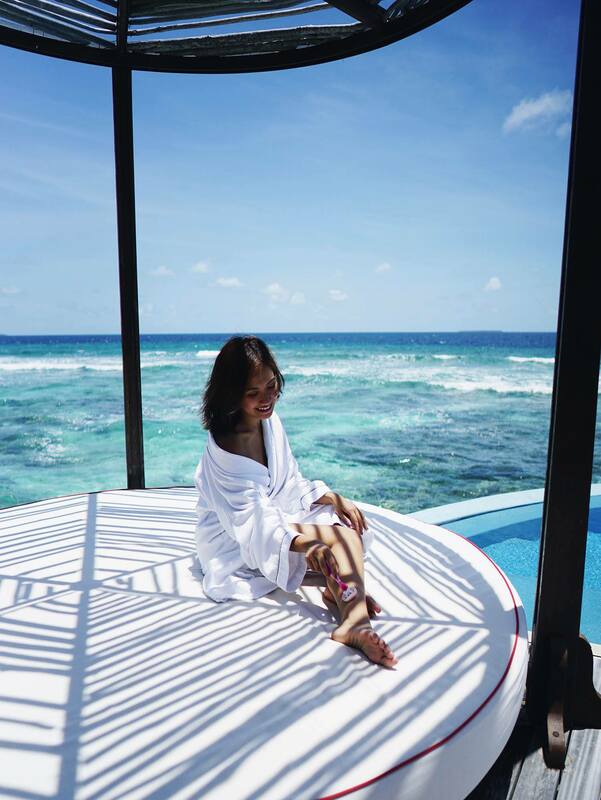 Birthday girl in Maldives! What a place to treat yourself on your day, just wow! Oh my gosh! This is definitely my must-haves. Since I have a hairy legs. Huhu! Will definitely try this one ASAP ?? Finally back on your blog again Laureen 🙂 Wow heard this only now and sounds super nice! I really need something like this, will definitely get one for myself. Ohmygosh! 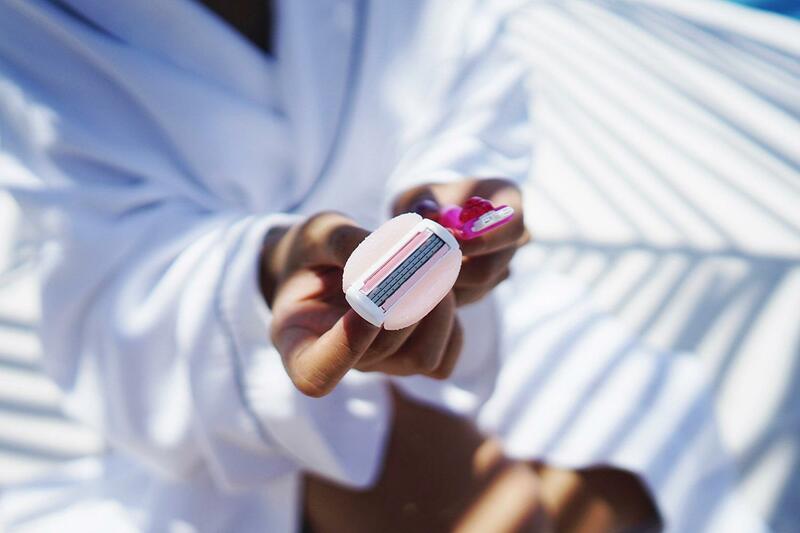 The moisture bar in the shaver is a good idea for girls who are always on the go to avoid bumps and irritation. Will definitely buy this ASAP! Thanks for featuring this item. May i know how much is the shaver? And is it safe to use in the V area?